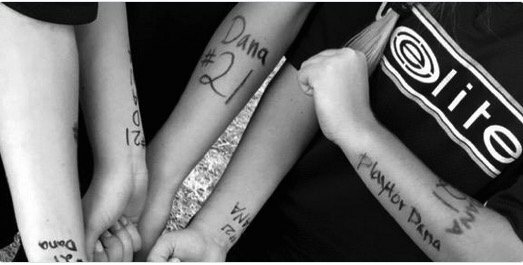 We are deeply saddened and our hearts pour out to the family and friends of Dana Housley, who suffered a brain aneurysm during a softball game over the weekend and passed away at the age of 15. The outpouring of support has been tremendous and a tribute tothose who loved her and seek to raise awareness of the devastating effects of brain aneurysms. The Bee Foundation was founded to fund the much-needed research in the field of brain aneurysms to prevent future tragedies such as Dana’s. People of all ages need to be aware of the devastating effects of brain aneurysms and research is greatly needed, which is why we asked Dr. Michael Chen, Associate Professor, Departments of Neurology, Neurosurgery and Radiology at Rush University Medical Center to shed further light on the topic. How Common Are Brain Aneurysms for Men and Women? Brain aneurysms are more commonly seen in women. At What Age are Most Brain Aneurysms Diagnosed? Brain aneurysms are usually diagnosed in adults, with an average age of rupture being 52. Albeit uncommon, brain aneurysms can also be seen in teenagers. A brain aneurysm is diagnosed by obtaining blood vessel imaging of the brain, usually called a CTA or MRA. In teenagers, these tests are usually ordered if there is a severe and unusual headache, if there are focal neurologic symptoms, or if there is a strong family history for brain aneurysms. Fortunately, effective and safe treatment options exist even for teenagers. Even newer generation devices such as flow diverters have been used in teenagers with good results. Dr Chen is a member of The Bee Foundation’s Scientific Advisory Board. Please join us in changing lives through innovative brain aneurysm research.